Thank you to the Subcommittee for holding this third hearing in a very serious series seeking solutions on the Gulf War illness issues that have plagued so many thousands of Gulf War veterans for nearly 20 years. As you already know, I am one of those 250,000 veterans affected by Gulf War illness issues. I particularly thank Chairman Mitchell and Ranking Member Roe for your bipartisan, professional, committed leadership on this issue. I also want to thank VA Secretary Eric Shinseki and VA Chief of Staff John Gingrich for their courageous, principled stance on championing issues related to Gulf War veterans. As veterans themselves, we look to them with hopeful anticipation and continue to wish for their encouragement in achieving so many long-overdue and deeply needed goals on our behalf. From my own experience helping to lead one of the largest state veterans agencies in the country, I know that this leadership can sometimes mean battling those within your own organization, who can range from well-intentioned to apathetic to resistant to change to even those who think they know better than leadership and believe they and their ideas and ways of doing thing will be there long after the latest batch of appointees are gone. But I also believe from my personal experiences and from meeting with VA leadership that their vision of culture change at VA can indeed be achieved. Much of what needs to be said has been said already elsewhere, including in public comments to the current and former VA advisory committees, VA’s new, internal Gulf War Veterans’ Illnesses Task Force, and during the many Congressional hearings held over the last two decades on issues related to the health and well being of Gulf War veterans. And, I continue to have faith in the new VA leadership, and I continue to believe that they will be effective on these issues as long as they keep them directed at the high level they are currently directed, right from the Office of the Secretary. Instead, I want to take this opportunity to highlight just some key issues. New National Research Project. First, from my experience serving on various federal research advisory committees related to Gulf War veterans’ illnesses, it is clear that what is needed most urgently is fulfillment of the Institute of Medicine’s recommendation for a Manhattan Project style, nationally directed research program focused on finding and funding the best science to unlock the etiology of, and effective treatments for the toxin- and other environmental agent-induced illnesses of veterans of the 1991 Gulf War. And, as has been previously shown in other hearings and testimony, much of the hundreds of millions of dollars of previous research was misdirected, misspent, and made no difference in the health and lives of Gulf War veterans. Continuing to fund Gulf War illnesses research piece-meal, without a broader strategy, is inefficient and best and may well be ineffective at worst, leaving Gulf War veterans to continue to try to endure without effective treatments to improve our health and lives. This large-scale research project most likely cannot be created without Congressional action. New Kinds of Research. Second, I have become convinced from my work with the brilliant scientists next to whom I have served on these various committees that the key to success lies in funding interdisciplinary, multi-focused, consortium-type research projects rather than funding one lone scientist testing a single theory. Simplifying Gulf War illness claims. Third, with regards to benefits, we as a nation can and must achieve better results with regards to the service-connected disability claims of veterans of the 1991 Gulf War. VA must clarify, or Congress must enact legislation to clarify the current disability claims eligibility contained in 38 CFR 3.117. Veterans with chronic multi-symptom illness should be rated for “chronic multi-symptom illness” as a single entity, not have to prove each individual symptom, ensure that each symptom subset is “undiagnosed,” and then be subjected to separate ratings for each symptom or set of symptoms. Correcting flaws in Gulf War presumptive rating schedule. Fourth, in previous testimony and public submissions, I have provided details of highly problematic issues related to service connection for fibromyalgia, a presumptive condition for Gulf War veterans under 38 CFR 3.117 which is currently only allowable to a maximum of 40 percent when it should be allowable to 100 percent. And, the symptoms of severe irritable bowel syndrome, a second presumptive condition for Gulf War veterans can be substantially or even totally disabling should not be limited to just 30 percent as it is currently under 38 CFR 3.117. And, the diagnosis of fibromyalgia should not preclude service-connection for chronic fatigue syndrome (a third presumptive condition for Gulf War veterans that is allowable by itself up to a 100 percent rating, as it should be) as it currently does. While I have already made specific recommendations to VA on these issues, implementing the change suggested in my third point, above, would be another way to alleviate these issues of overlap and unfairness. VA Staff Accountability. Finally, VA staff must be held accountable for implementing the changes called for by Gulf War veterans, the scientific community, Congress, and VA appointees. Even still, the advisory committees on which I serve are not always consulted on issues within their purview, advised of decisions made independently by VA staff without advisory committee consent, or heeded in the sound recommendations they make. These issues internal to VA and the U.S. Department of Defense have been at the root of many of the concerns of Gulf War veterans, and have surfaced repeatedly, including as recently as last week with the issuance of VA’s new press release on funding $2.8 million in new Gulf War health research. As a member of VA's new Gulf War Steering Committee (GWSC) and the Congressionally-chartered VA Research Advisory Committee on Gulf War Veterans' Illnesses, I was surprised to learn of VA's newly funded research related to the health of Gulf War veterans, not from VA staff as a member of these committees, but from a writer from the Veterans Today news website who emailed me the news, which was most surprisingly issued in the form of a press release. As Congressional and VA leaders know, these committees have substantial, Congressionally- and VA-chartered responsibilities related to overseeing VA’s performance of research related to ill Gulf War veterans. These “oversights”, if we generously call these serious issues by that name – imply that VA officials at several levels and in several capacities within VA do not take seriously the oversight and advisory roles of these committees. Indeed, the message from these actions is that VA staff can and will simply disregard the oversight and advisory committees created specifically, in part, to help prevent the range of problematic issues described in this letter. This appears to be in direct contravention to the culture change and policy changes advocated by Sec. Shinseki and VA Chief of Staff John Gingrich. Additionally, I found at least one statement of fact in the VA's press release that is cause for substantial concern. 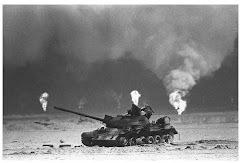 · Number of Gulf War veterans with Gulf War Illnesses Downplayed. The VA press release says, "In the years since they returned, nearly a quarter of these Veterans have experienced chronic symptoms....known collectively as “Gulf War Veterans’ illnesses." This statement contradicts the VA-contracted Institute of Medicine Volume 8 study on Gulf War Veterans' health, released in April 2010, and cited later in the press release, which states the number of veterans at 250,000 -- at 35.9 percent, this number is substantially higher than VA's claim in the release of, "nearly a quarter". For many years, VA has downplayed the severity of Gulf War veterans' serious and disabling illnesses, and this latest instance is unacceptable and should be corrected immediately in the online version of this press release. But most importantly of all, the substance of the three studies is deeply concerning. Instead of focusing on known Gulf War toxic exposures (as shown in the list in the Persian Gulf War Veterans Act of 1998) and ameliorating the range of health effects known to be associated with those exposures, instead, one of the three VA studies is still, after 20 years of criticism for this kind of focus, focused on stress and psycho-social adaptation to disability without treating the underlying physical health conditions (“mindfulness-based stress reduction”). To put it simply, of course mindfulness training provides some small bit of health to people in their personal adaptation to conditions of pain and disability and no new, expensive study is needed to show that – but most importantly this adaptation has absolutely no bearing on the underlying and all too real physical health of the 35.9 percent of Gulf War veterans still suffering from Gulf War illnesses. To portray this stress management study as somehow providing meaningful treatment to veterans is deeply disappointing, disingenuous, and a disgrace to all 250,000 Gulf War veterans still suffering from very real physical illness related to their toxic exposures. The third of the three VA announced studies is an animal study conducted over four years to assess the efficacy of drugs with anti-depressant, anti-oxidant, and anti-inflammatory properties. At the end of those four years, presumably it will take some time to publish the results, after which, if success is found, new multi-year studies to study the efficacy of the treatments in humans will be required. It is incomprehensible why, after 20 years of waiting, these treatments are not being tried in ill Gulf War veterans directly rather than in study design that will require more studies thereafter before treatments ever reach the Gulf War veterans who need them. Even if this study of anti-depressants turns out to be effective, instead, this study will take years before any potential benefit can pave the way for yet another study, meaning many more years of waiting by the 35.9 percentof Gulf War veterans still suffering from Gulf War illnesses. In addition to the fact that adaptations to disability purporting to be “treatment” have already been excessively studied by VA and DoD over the last 20 years at costs ranging into the millions of dollars, to put it simply, after so many years of VA missteps, these latest missteps by VA are simply unacceptable, as I am sure Sec. Shinseki and you would agree. Most importantly, these kinds of missteps are fully preventable if the oversight and advisory bodies cited above are actively engaged by VA staff and their recommendations heeded. But again, these committees were not only not consulted; they still haven’t even been informed of these decisions made without their input on issues directly within their purview. All these issues suggest that despite all the expressed good intentions, staff inside VA continue through their actions – whether intentional or not – to undermine these efforts. Perhaps they want to do things the way they’ve always done them, perhaps they believe that what they’re doing is “right,” perhaps they want this Administration to fail, perhaps they have their own agendas, or perhaps they just don’t get it. What specific corrective steps are being taken immediately by VA leadership to ensure that the stated oversight and advisory roles of the GWSC and RACGWVI are respected and followed by VA staff at all levels? These bodies cannot perform their intended functions when they are completely bypassed by VA staff. 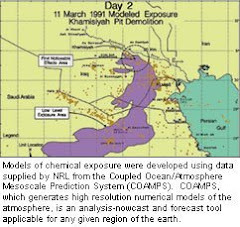 When will VA begin a treatment-focused research program -- as called for in the more than a decade-old Persian Gulf War Veterans Act of 1998 -- that is based on alleviating the known health effects associated with the known toxic exposures of the 1991 Gulf War? VA officials note in this press release, “The IOM report noted that the illnesses seen in Gulf War Veterans cannot be ascribed to any psychiatric disorder and likely result from genetic and environmental factors,” yet not one of these new expensive new studies focuses on environmental or genetic factors that caused 250,000 Gulf War veterans’ illnesses. When will VA correct the factual error in the press release? Again, in one place in VA’s press release VA cites the number of the 696,842 Gulf War veterans still suffering from Gulf War illnesses as “nearly a quarter,” when the Institute of Medicine, contracted by VA, shows this number to be far, far higher -- at least 250,000, or 35.9 percent. That’s one-third again higher than “nearly a quarter”. More broadly, this latest instance of downplaying the severity of Gulf War illness appears to be indicative of a continuing, long term trend within VA.
For the last year, I have been using my leadership role to reassure my fellow ill Gulf War veterans – including through the Gulf War health news website I publish, 91outcomes.com, which has had more than 25,000 readers in the mere 16 months since it was created -- that change is coming, and that VA has a new focus and a dramatic culture shift that will almost certainly lead to effective treatments for Gulf War veterans’ toxin-induced disabilities. For most of us, like any other disabled veteran, all most of us has ever wanted is our health restored to a state as close as possible to its pre-war state. Science tells us that may very well be possible, that effective remedies are within our reach – but the choices made in selecting these three studies do not reflect the direction that the scientists tell us should be the way forward. VA’s serious factual, procedural, and research-focus errors have shaken my growing trust in the new VA. But, I look to VA leadership to take immediate, good-faith steps to remedy these serious issues. And, I remain optimistic that VA Secretary Eric Shinseki and VA Chief of Staff John Gingrich can find ways to effectively cause VA staff to conform to their stated vision of the “culture change” desperately needed by the at least 35.9 percent of Gulf War veterans still suffering from the life-long effects of their Gulf War toxic exposures – a vision that so many of us out here share with great hope and expectation. If ever there was leadership that can indeed get this right, I believe it is them, aided by the able, committed, and professional leaders in Congress including you on this committee. Please, don’t let us down now when the end is finally in sight. Again, thank you for holding today’s hearing, for all that you have done for all veterans, and all that you continue to do.